I’ve read a lot of these memoirs written by people who had messed up childhoods, in one way or the other. Many share characteristics, usually an unhinged mother, but there’s always a new focus that keeps me coming back for more. 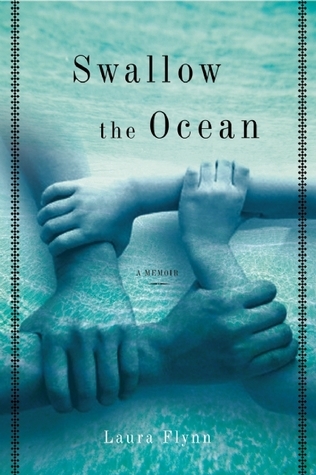 In Swallow the Ocean, Laura Flynn recounts her childhood growing up with two sisters and a schizophrenic mother. Laura was in the position of her mother’s “golden child” for most of her life, while her mentally unbalanced mother took out most of her anger and frustration on Laura’s older sister. We see Laura’s childhood (she grew up in the nineteen-seventies) hampered by her mother’s hoarding, mood swings, and strange — but firm — rules about certain brands in the store that might try to kill them. The little girls did the grocery shopping on their own, got themselves to school when they could and basically took care of their mother. One thing that stood apart in this memoir versus a lot of the others that I read was the focus on the father. He tried to make it work with Laura’s mother for years, even working desperately to get his wife’s parents to intercede with their daughter. Unfortunately, no one believed him when it came to his wife’s mental health. He eventually left her and fought for custody, but at the time it was pretty much impossible to separate a mother from her children. So despite social workers coming over and seeing how the girls lived, they stayed with their sick mother for years. I can’t imagine what Laura’s father went through, although he did eventually gain custody of his children. Share the post "Every memoir offers something new"